This exciting course examines the role of contemporary literature in a number of different contexts. You will have the chance to explore a diverse range of texts, across varied modules, with the chance to explore a topic of your choice in specialist detail through your dissertation. You could study post-1945 classics, including late modernists like Samuel Beckett, as well as surveying the latest up-to-the minute novels. You may explore specialist fields such as trauma fiction or gender and sexuality, master the latest literary theories, or investigate new genres and popular narrative media, including contemporary gothic literature, film, video games and comic books. In particular, the programme is built to encourage you to not only examine the contemporary moment – our time, our culture – in isolation, but to use contemporary literature as a window to broader concerns: literary traditions and heritage, politics and society, personal identity and representation. Ellie enjoyed her undergraduate experience here so much, she decided to continue studying with us. Barely two months after her summer graduation from her English degree, Ellie was preparing to start studying again – this time for a Master’s in English. Read more about Ellie’s experience. The MA is made up of four modules and a dissertation, amounting to 180 credits in total. Full-time students will take two 30 credit modules in each of two terms, followed by the dissertation. The four modules to be offered in any given year are pre-selected by the tutors from the list below. Part-time students can take the course over two or three years. In both cases, the first year will contain one module in each of two terms, amounting to 60 credits. If you choose to study over two years, the second year will contain one module in each of two terms, plus the dissertation, amounting to 120 credits. If you choose to study over three years, the second year will contain one module in each of two terms, amounting to 60 credits, and the third year will involve the dissertation only, to make up the final 60 credits (please note: student loans are not normally available to those studying the three-year option). All modules will be taught in the evenings (6-9pm) allowing you to take your course entirely outside of normal working hours. 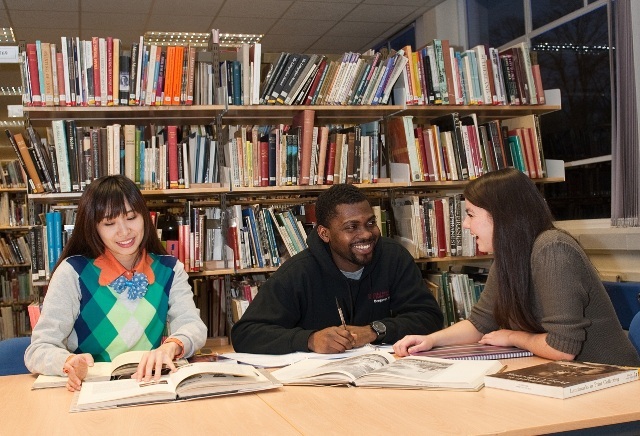 Visit the English (Contemporary Literature) - MA page on the University of Northampton website for more details!